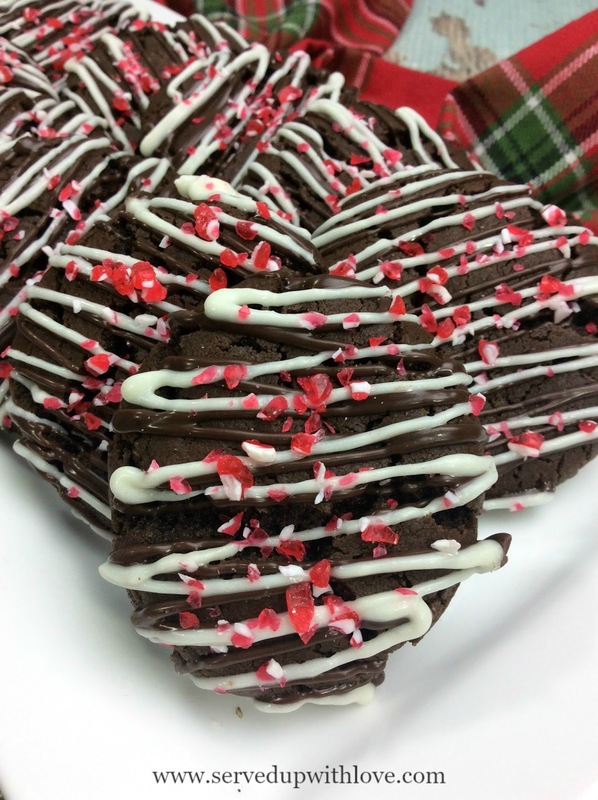 If Christmas could be wrapped up into a cookie, these Double Chocolate Peppermint Cookies would be it. I have been on a peppermint kick for the last couple of weeks. Some look forward to pumpkin spice everything, for me its peppermint mocha. Last year my father was very ill so the Christmas season just kind of flew by and was super chaotic. Between running here and there and visiting him at the hospital I missed my beloved peppermint mocha that I always indulge in whenever we are near a Starbucks. We are at least an hour from one so it is a rare occasion to be able to indulge. So these cookies pay tribute to those beloved holiday drinks and I get to indulge in these anytime I want to do a little baking. These are perfect for gift giving, holiday cookie trays, or to just surprise the family with a little holiday magic. These are chocolately and minty and oh so good! 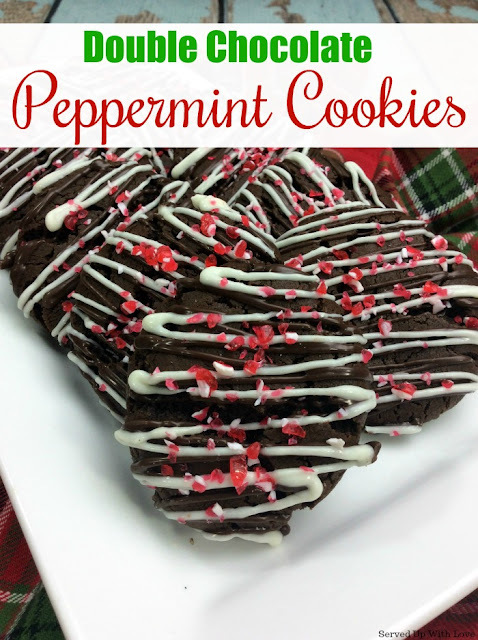 The perfect holiday cookie filled with chocolate and mint. Preheat oven to 350 degrees. Line large cookie sheet with parchment paper. Combine flour, baking powder, baking soda, cinnamon and salt in a bowl. Whisk ingredients together. Set aside. Using an electric mixer, beat the butter and both sugars until creamy. Slowly add one egg at a time to the butter and sugar mixture, beating after each addition. Add vanilla beating to incorporate with the butter, sugar, and egg mixture. Slowly add the flour mixture, one cup at a time, stirring to combine after each addition. Using a ¼ cup, scoop out the cookie dough and place on the lined cookie sheet allowing space for baking between each cookie. Bake the cookies for 15 minutes Using a double boiler melt the milk chocolate melting wafers Once melted, pour chocolate into a disposable piping. Cut a small tip off the piping bag and drizzle all over the cookies. 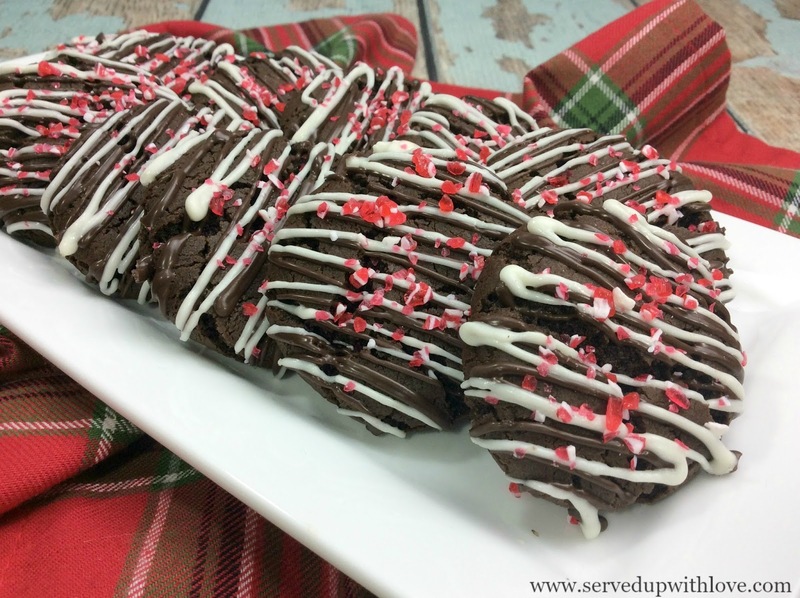 Repeat the steps with the white chocolate Once both chocolate have been drizzled, sprinkle crushed candy canes. Let chocolate completely dry before enjoying!